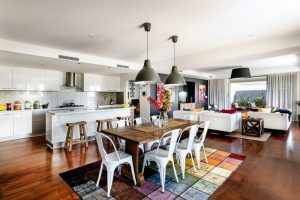 Happiness can be brought to living room through cheerful items that will make the room warm and inviting. 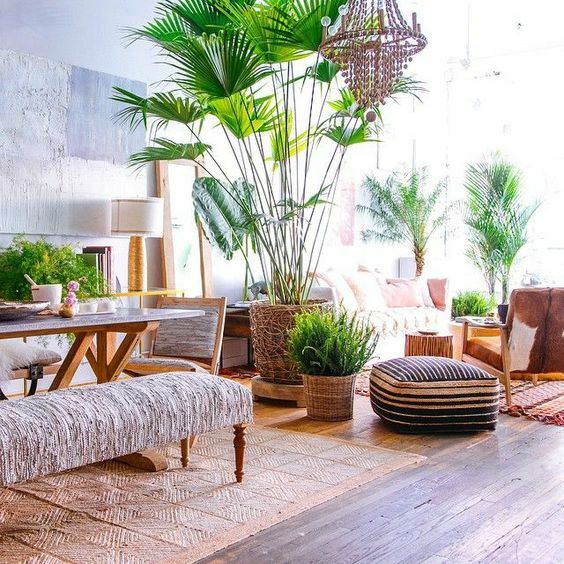 These below are exotic tropical looks for living rooms. 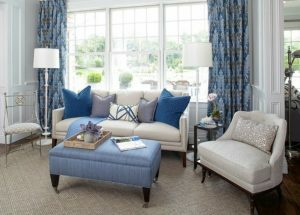 They accentuates more relaxed and comfortable look in the living rooms. In creating tropical look, a great level of light is required. The cheerful and joy feeling can be gathered from light alone. However, without the help of earthy furniture, it can be meaningless. And this one here does not let that happen. With its nature touch on the rocking chair, ottoman, and rug, the room looks tropical. Added with some plants, it looks like it’s under the sun. 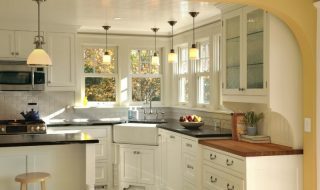 While acquiring a light and bright room, this room is going in neutral and light look. 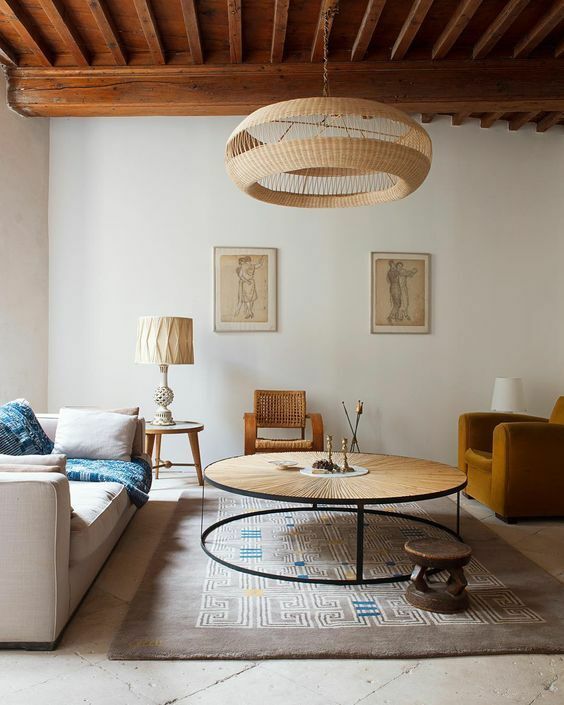 The light wooden floor compliments rattan pendant, rattan chair, and round wooden coffee table. Combined together, the room look comfortable without taking too much warmth. 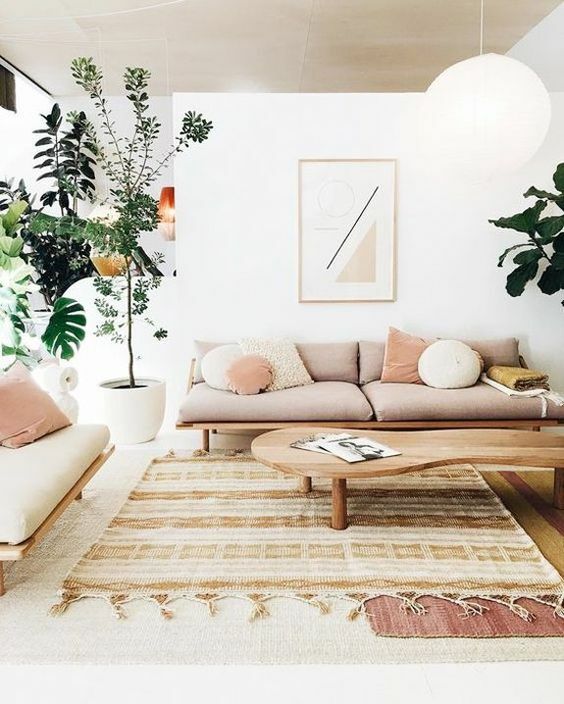 Although the word tropical indicates a merry and cheerful note, with earthy neutral color and natural material, tropical feeling can be noted easily. 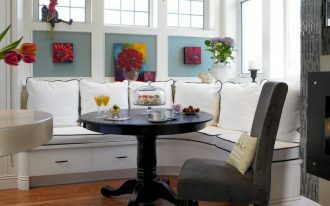 This one here shows how natural and simple furniture can bring soft vibe. 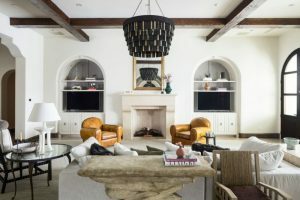 The layers in the room also soften the room. 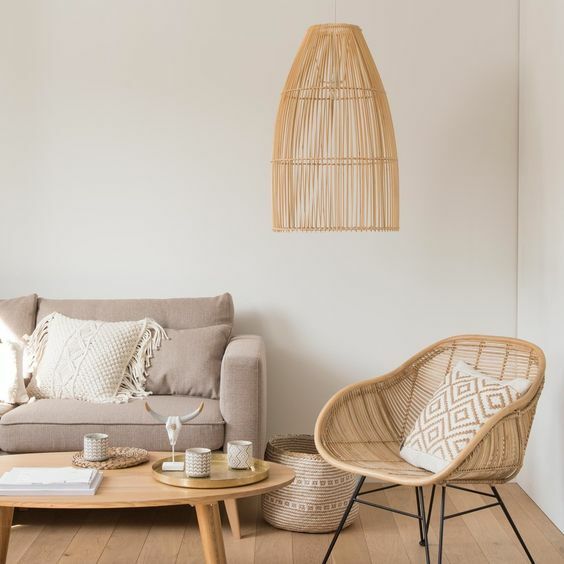 Although this room is filled with light natural look, the warmth can be seen in the wooden coffee table, rattan chairs, and ottoman. With a plant in the corner, this room feels completed. 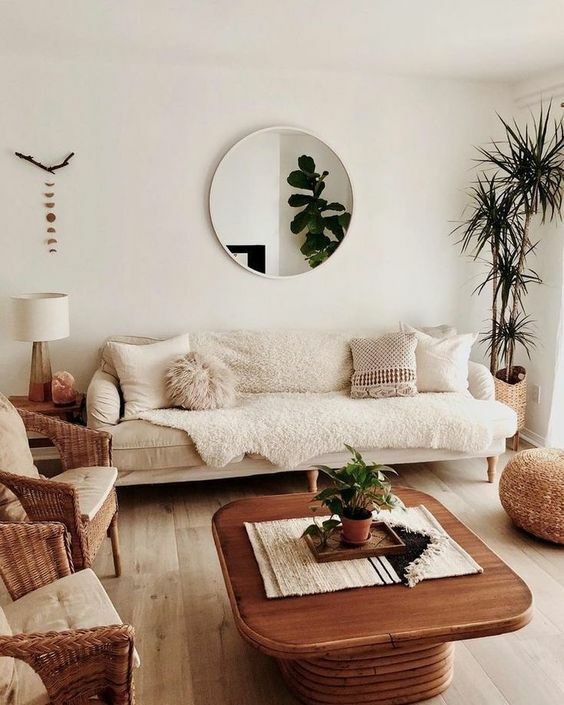 In this living room, the natural textures are looking amazingly beautiful and pronounced. The tropical patterns along the wall completes the room in tropical vibe, along with the plants. 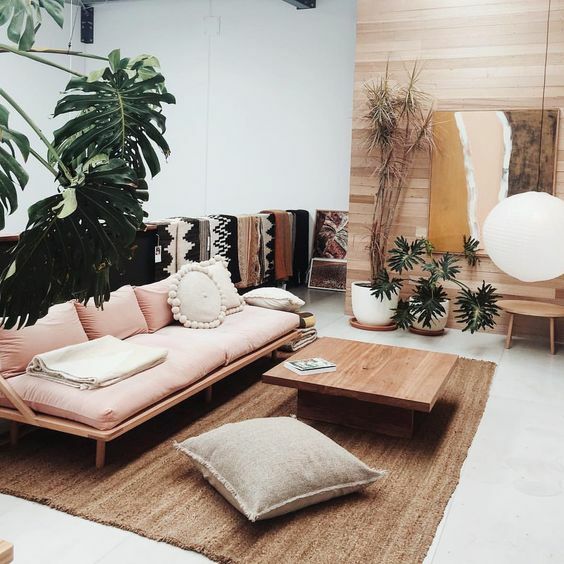 While pursuing tropical look, often times, it can look a little bit bohemian. 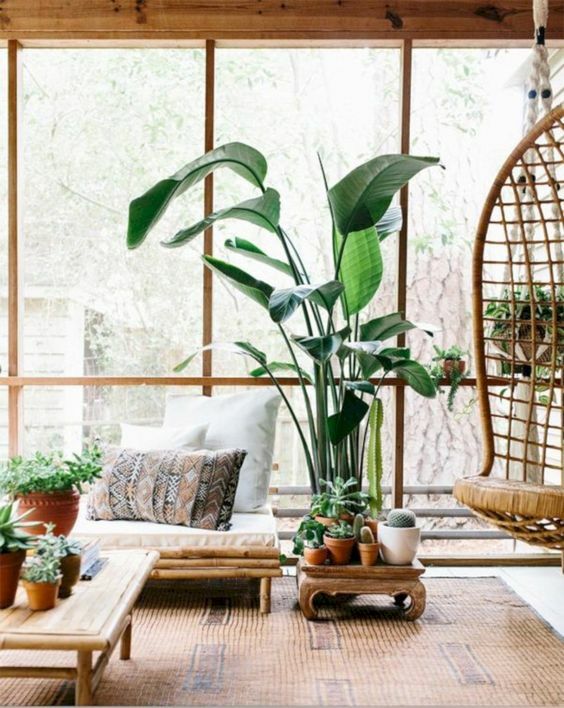 And if you think bohemian style is too warm and details, this one here can give you the inspiration towards earthy tropical look in modern vibe. Tropical look is often related to cheerful vibe. And this one here displays the joy note in not too much style. 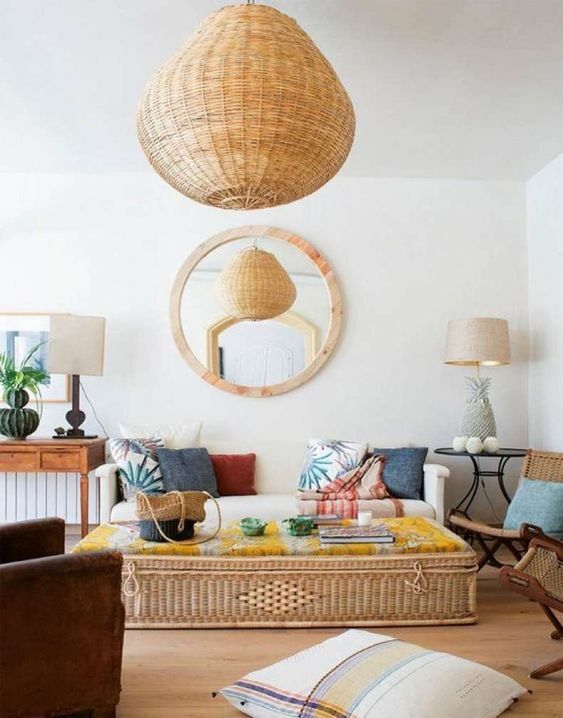 The rattan and wooden material and textures are all over the place. 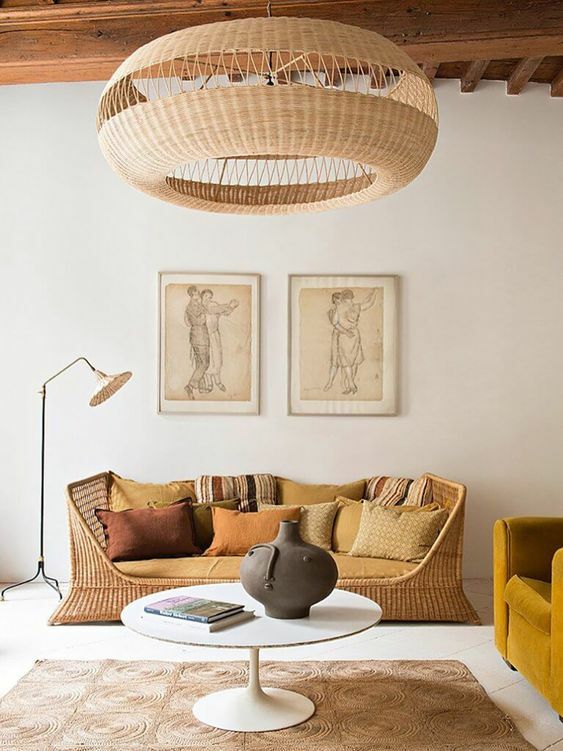 And with one large yellow cushion on the table, the room looks tropically fun. 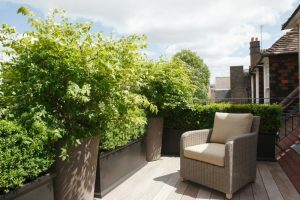 It is so convenient to have natural inspired room in neutral environment. This one here depicts a neutral living room with white floor and wall that’s accompanied with beautifully made rattan sofa and pendant. The rug area and floor lamp are complementing while mustard chair gives a touch of character. Living room should be comfortable and relaxing. And this one here has shown perfectly tropical and comfortable living room with maximum level of light. The bamboo low bench bed is incredibly comfortable and the bamboo coffee table is practical and a great match for the bench. 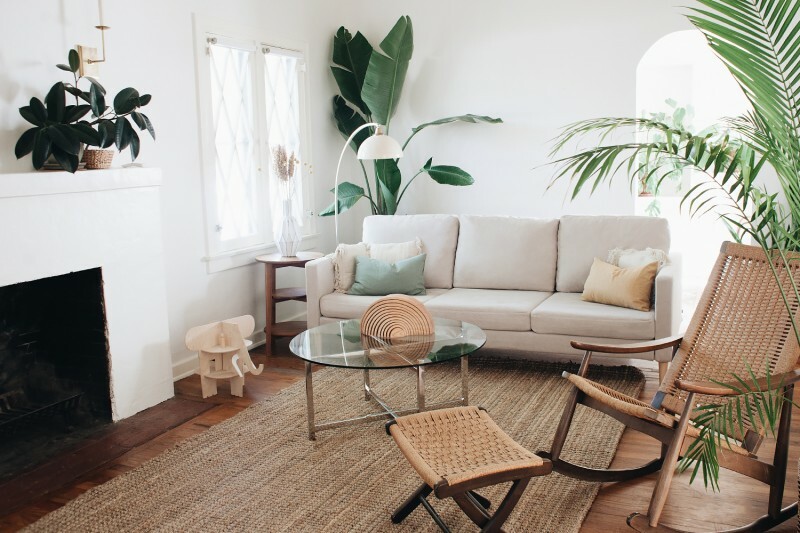 Added rattan hanging chair, this room is perfect for tropical themed living room. Created in an open space, tropical inspired room can be a challenge as it should be balanced the entire room. But this one has done it perfectly well with balancing plants all over the room, even in the middle. Rugs are distributed well to support free and open feeling in the open space.